Hope you’re all having a lovely day! I’ve got a new ‘currently testing’ post for you and I’m starting with the lovely LookFantastic Beauty Box (£15). This box was sold out pretty darn quickly, but I’m honestly not surprised as it’s one of the best beauty boxes I’ve seen in a hell of a long time. They’re all fantastic quality products and I’m seriously impressed! You get six high end deluxe samples in this particular box, which has a good mix of skincare, haircare and bodycare. 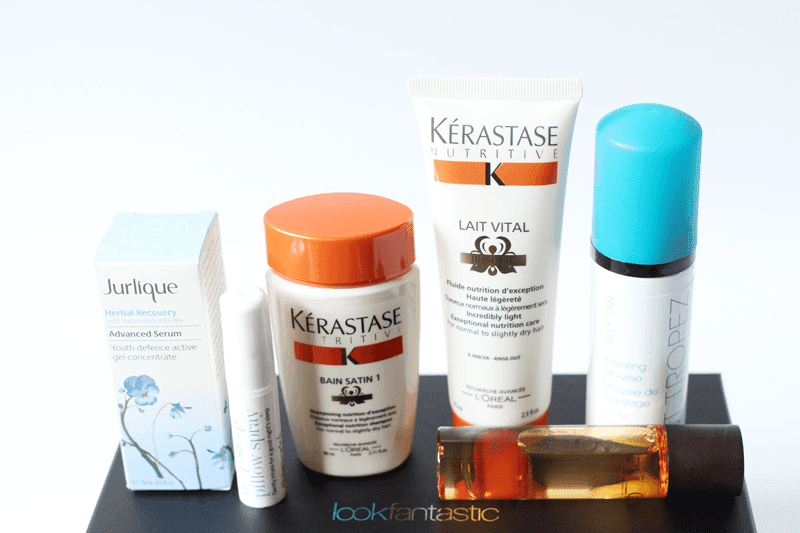 There’s the Jurlique Advanced Serum (which I’ve reviewed before), Kerastase Bain Satin 1 Shampoo and Lait Vital (which my mother has kidnapped! ), St Tropez Bronzing Mousse, Claudalie Divine Oil (which I wanted to try for ages!) and the This Works Deep Sleep Pillow Spray. Everything I’ve used so far I love, so I can’t wait for the next box to come out and to see what’s inside! Next in my currently testing basket is a bunch of products that have also impressed me from first use. Firstly, The Bathory Bath Soak made me swoon on packaging alone. I love the idea that you can create your own custom soak, so I chose Chamomile, Sandalwood and Ylang Ylang for a very heavy, quite earthy scent. I absolutely adore it! The Fudge Big Hair Shampoo and Conditioner are next, which have been giving my fairly fine and volume-less hair a bit more oomph. They’re a great every day combo and one I have been enjoying using! The Origins Plantscription Anti-Aging Power Serum, which is a new release from the brand, is one I’ve been using over the past ten days or so. It’s typically for more mature skin, but I’ve actually been enjoying how refreshed it’s made my skin. It’s brighter and more radiant looking, which is all I ever want. It also smells delicious, which is a bonus! 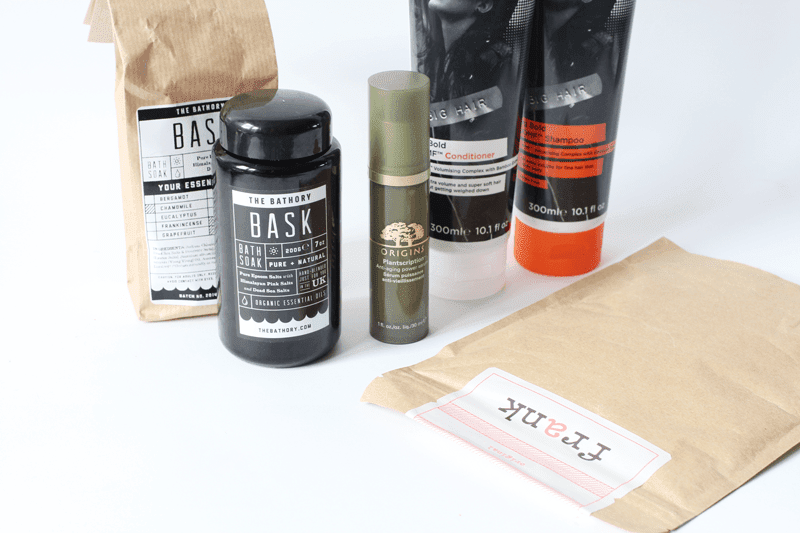 Next is a little body product by the name of the Frank Coffee Scrub. You use about two heap handfuls, scrub it all over your body and rinse it off, leaving you with super smooth and soft skin. Frank have also teamed up with Macmillan for the World’s Biggest Coffee Morning which is happening on the 26th (tomorrow!) to raise awareness of the cause, which raised an amazing £20m last year! It’s a really great cause, so make sure you get behind it! What have you been using this week? Let me know!